What Materials Should I Get for my Preschooler? This is the difficult question for all parents starting out in Montessori. There are so many materials and they can be quite expensive. Do I need them all? Can I substitute something else? What can I make myself? Why do I need that material? It can be so hard to decide. First off I recommend reading David Gettman’s “Basic Montessori”. When you have an understanding of what the purpose of each material is, you’ll be better able to decide what you need now and what can wait and what you can skip. 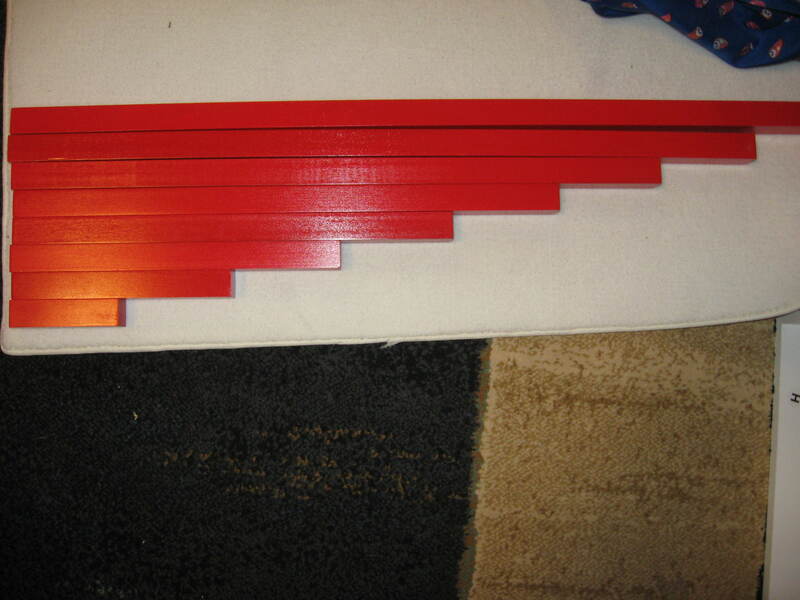 There are lots of DIY ideas online for Montessori materials. For me, however, I just don’t have the time to make things. I don’t have time to go shopping to find the materials to make them, and then I don’t have time to put them together, and maybe it’s just because I’m in Canada, but often it costs the same, if not more, to make it myself. And then what usually happens is I’m not happy with the result and I wind up purchasing what I tried to make and I’m out the money I spent trying to do it myself. So I tend to purchase. If you have the time and skill to make things yourself, go ahead, just don’t under-estimate the amount of time it’ll take and the expense. Knobbed Cylinder Blocks: If you have a 2-3 year old, these are a big hit. Heck, even I love doing them. They not only stimulate spacial recognition, the knobs help children learn proper pencil grip. I don’t recommend the Mini Cylinder blocks because they’re too easy. Your child will figure them out quickly. If you can’t afford the whole set, Montessori Outlet sells them individually. Blocks 1 & 3 change by height and width, blocks 2 & 4 change by just one aspect, either height or width. Blocks 2 & 4 are more challenging than 1 & 3. If you can, especially if you have a little one, get the whole set. Pink Tower: This is another must have in my book. Now you might be wondering why you can’t just use plastic nesting and stacking blocks or the like. 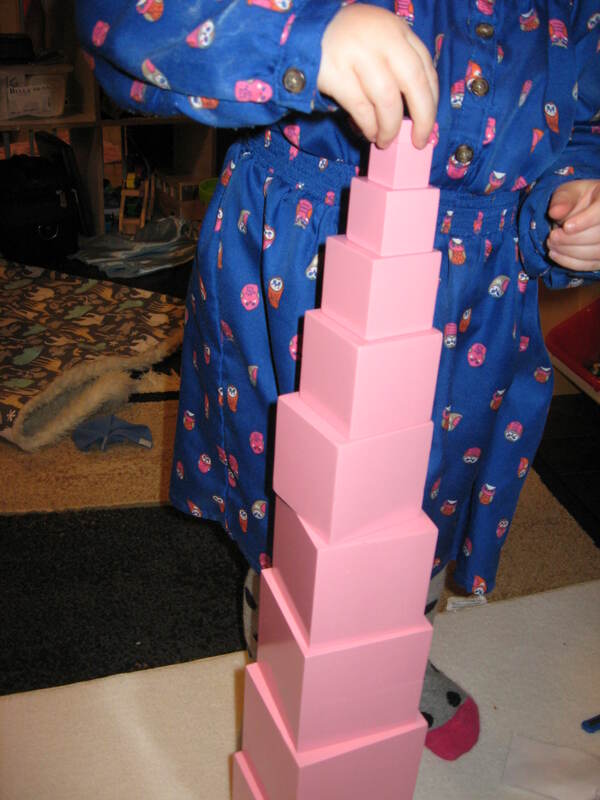 With the Pink Tower a child can feel the difference in weight between the blocks. Also they’re all one colour so there is nothing to distract from the sensory learning experience of size. Also the sensory materials tend to be in groups of 10 to start awareness of number grouping. Knobless Cylinders: There are so many things that can be done with the Knobless Cylinders. Each box contains 10 cylinders of varying heights and widths. They can be combined into so many patterns and there are many extensions that can be printed off to use with them. However they aren’t introduced until Period 5 in Gettman, but I use them with my 2 year old, they’re a little advanced for her but a 3 year old would have no problem with them. Geometric Solids: These are a wonderful sensory experience for children. My 2 year old likes to match them with the bases. She’s learned the names of most of them already too. There are other sets out there that are cheaper. Here’s some from Scholar’s Choice. However, like the Pink Tower, I think it’s best if they’re all one colour. Also, keep in mind that the Nomenclature cards usually depict the blue Montessori shapes. Geometric Cabinet: This is an expensive purchase but I feel it’s an important one. You could try making your own out of foam board but I think it’d be a tricky task. This material has so many uses. A puzzle, learning shapes, the knobs are good preparation for pencil holding and as the child learns to trace around the shapes and the frames with their finger they’re preparing for tracing the metal insets. Also, if you can’t afford the metal insets, you can have your child trace the insets in the Geometric Cabinet if you’re ok with them getting marked up a bit. The Geometric Demonstration Tray is sold separately, so you might want to get it as well, though it isn’t really necessary. For $5 you might want to consider getting the Control Chart as some of those names of triangles are tricky. Binomial Cube: This isn’t something that you can easily make yourself and you’re not really going to find anywhere else. 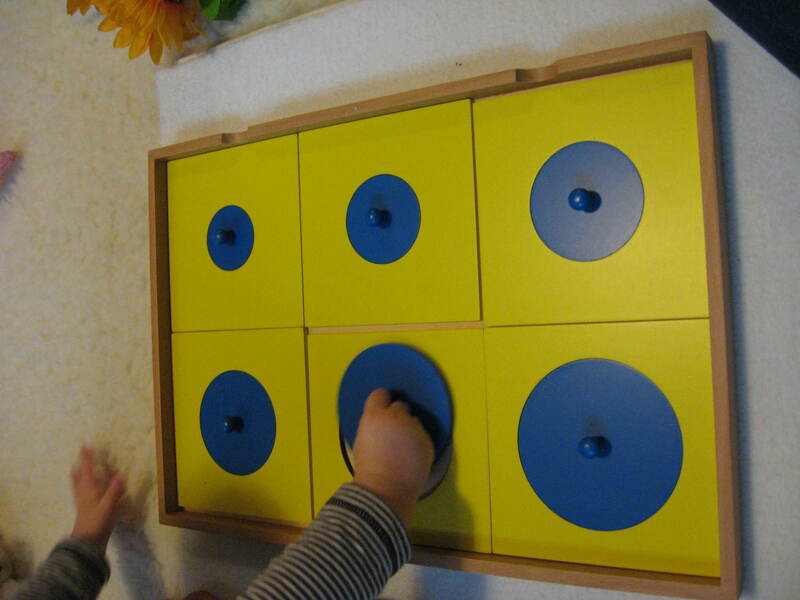 It’s important for developing the child’s visual perception of three dimensional patterns. Red Rods: These wouldn’t be too hard to make yourself. I was going to get my husband to make them but I was sent them by mistake and decided to pay to keep them. They are quite big but I think that makes the sensory experience that much more interesting. I was tempted to purchase just the Number Rods but the lines would distract from the sense of length. Numbers aren’t introduced until Period 3 in Gettman so I’d recommend getting the Red Rods. There is also small Number Rods available, so you could save money by getting them instead of the large ones. If you’re lacking in space I’d recommend getting the Rod Stand as well. Sandpaper Numbers: These aren’t introduced until Period 4 in Gettman so they’re something you can wait on. They wouldn’t be too difficult to make yourself. I don’t recommend the Sandpaper materials from Montessori Outlet. They put some type of glue on the wood and cover it with coarse sand. It’s sheds like crazy, making a mess, and feels terrible, it’s just too coarse. The sandpaper materials for IFIT and Affordable Montessori are much nicer. 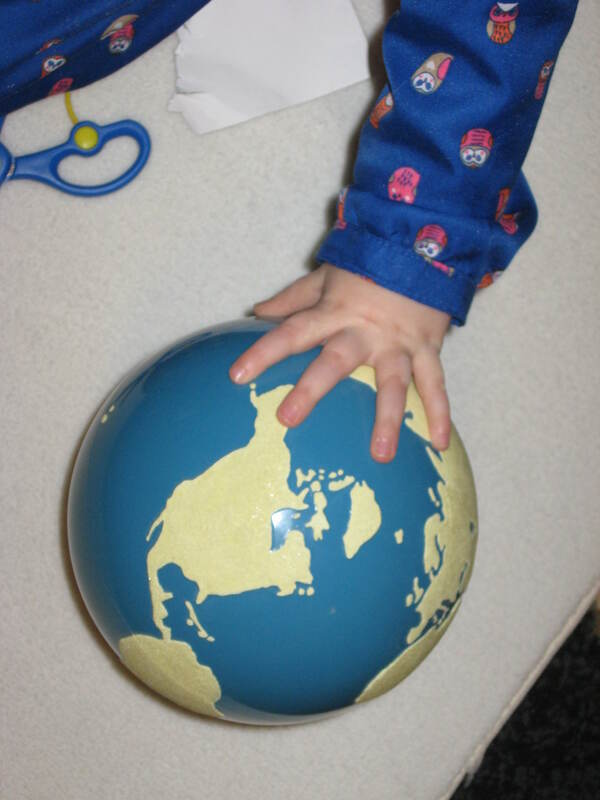 Sandpaper & Colour Globes: These is also difficult to make yourself, but there are several DIY tutorials on the net. This is introduced in Period 1 in Gettman. The one on IFIT is said to be not good quality. I have the Sandpaper globe from Affordable Montessori and it looks very similar and the quality seems fine to me. The children really like to feel the globe. 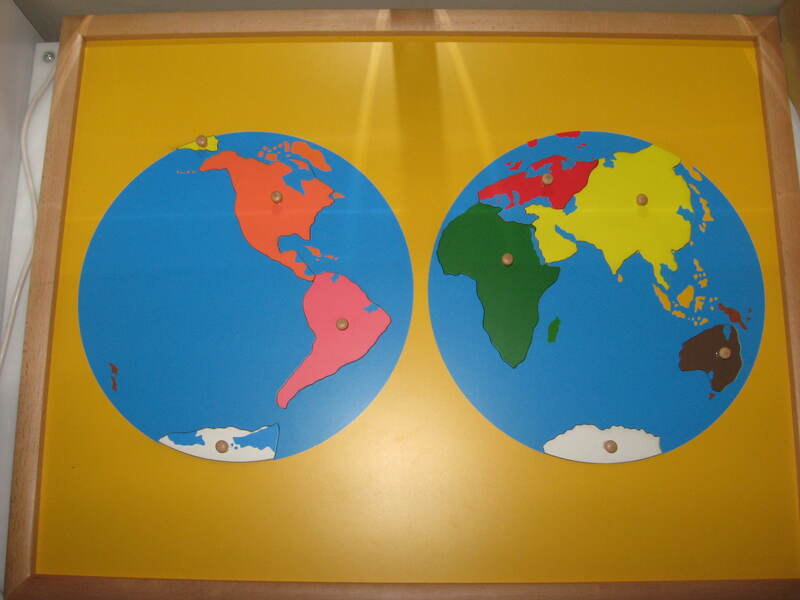 In Montessori the continents each have a colour that is used on the puzzles and the globe so that is why you might want to consider having the Montessori globe rather than a regular one. If money is tight, just get the Sandpaper Globe. Moveable Alphabet: This isn’t introduced until Period 4, after the I Spy game and the Sandpaper letters are completed. Why the Moveable alphabet rather than just magnetic letters? Because the Movable Alphabet comes with multiples of each letter so the child can write words. Writing comes before reading in Montessori. Also there is the option of cursive letters. This is something that you can wait to get. Montessori Outlet offers the letters separate from the box so you can save money, but I recommend getting a box as it allows you to store the letters sorted so your child isn’t frustrated trying to find the letter he wants. However, you might be able to find other storage options. I haven’t reached this stage yet but I think you’d only need the lower case. By the time your child is using upper case they will most likely be writing on their own. Another option is to print out multiples of each letter and laminate them or purchase this. What about all the other materials? Brown Stair: This is expensive and not necessary, though there are a lot of extensions you can do combining the Brown Stair and Pink Tower. If you can afford it, it’s nice to have. If you can’t, then you’ll be fine without it. Spindle Box: This is one thing I made my own version of. Read about it here. There are also lots of other DIY ideas on line. Another option that I actually like better and is great for younger ones is this from Scholar’s Choice. 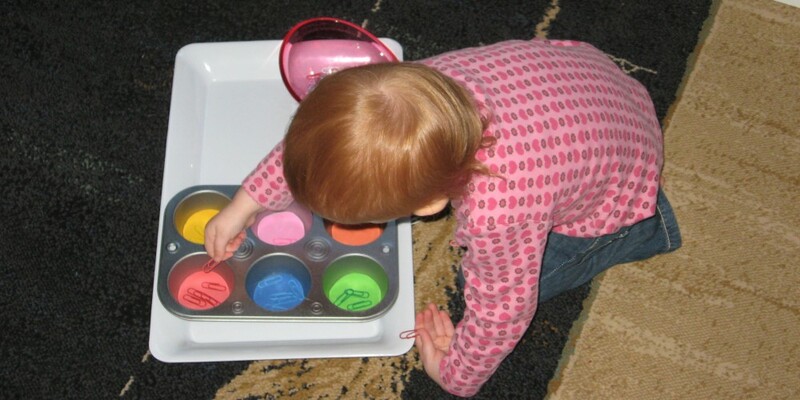 Colour Boxes: There are tons of colour activities you can do with objects around the house or make from paint chips that this is defiantly one area you can skip purchasing. If you did want to purchase, IFIT has a Box 4 that can be used for grading shades and matching colours. Metal Insets: Definitely not necessary but they’re really nice. You could instead have your child trace the shapes in the Geometric Cabinet or get some stencils to trace. If you can afford it, I’d get them. Montessori Outlet sells them without the stands so you can get them for a little less. Touch Tablets, Thermic Tablets, Baric Tablets, Sound boxes: First off, my feeling is that these are great in a classroom, but not necessary at home. There are so many daily experiences you can give your child without these. Feeling ice cubes, feeling how heavy things are, talking about soft, smooth, rough toys, different sounds, etc… Also it’s not too hard to make your own touch Tablets and Sound boxes. Bells: Music as been shown to expand brain development. If you can have your child be part of music classes that’d be great. My daughter is going to start piano lessons around 4 or 5. 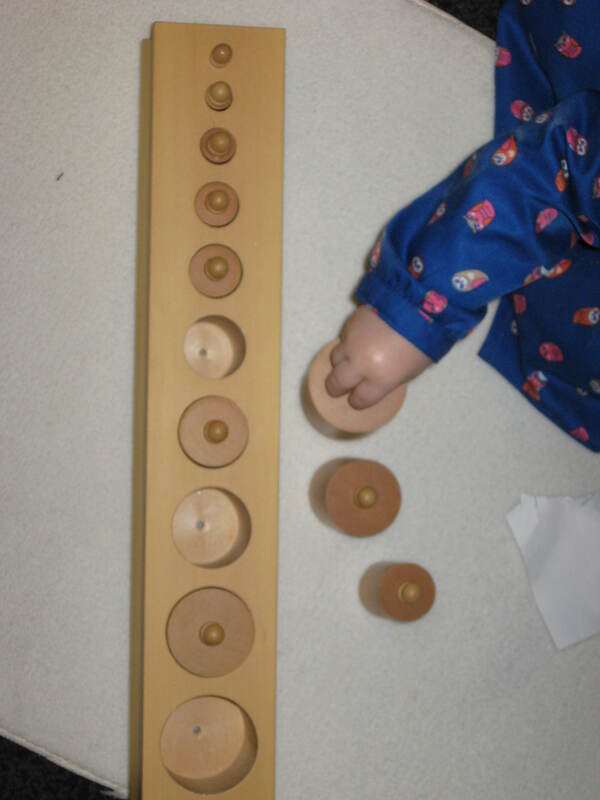 Montessori bells are really expensive but I’m planning to do what the mother at What Did We Do All Day blog did. I purchased my bells from Scholar’s Choice. If you can’t afford it, do make sure music is a part of your day. Dressing Frames: I have these but I don’t find them practical because the way you do up snaps and buttons and zippers on a frame is different than when you do it on yourself. If you know someone who can sew, these are a much better option. Or just teach them with their clothes. Construtive Triangles: The blue ones are not too expensive if you want to purchase them. My plan is to make them out of foam. Mystery Bag: At $12 it’s quite affordable, but at the same time you could make your own with objects around the house. Map Puzzles: These are quite large. You can easily make a world map out of felt. Here’s an awesome one I’d love to make if I had the time from Imagine Our Life. The advantage to the wood puzzle is that the child can trace the pieces to make their own maps. If you can afford it, get the World Puzzle. Zoology and Botany Puzzles: These are quite affordable, so if you’re looking for some more complicated puzzles for your child, you might want to get a few. Otherwise they’re used for teaching parts of the animal and plants in Period 3. 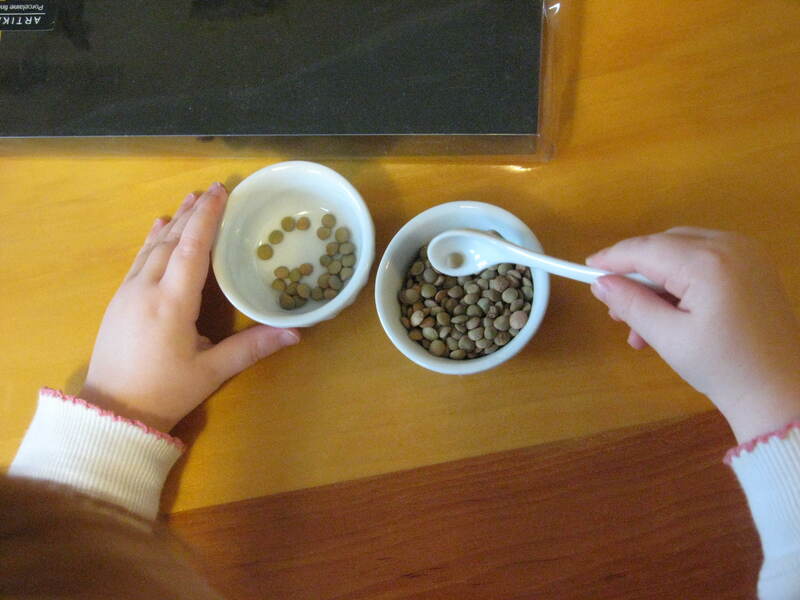 I think a child can learn just as well with Nomenclature cards and growing beans in a glass jar. Botany Cabinet: Not necessary. You could easily use cards to teach classification by leaf and have a child trace the geometric cabinet frames with a cuticle stick. 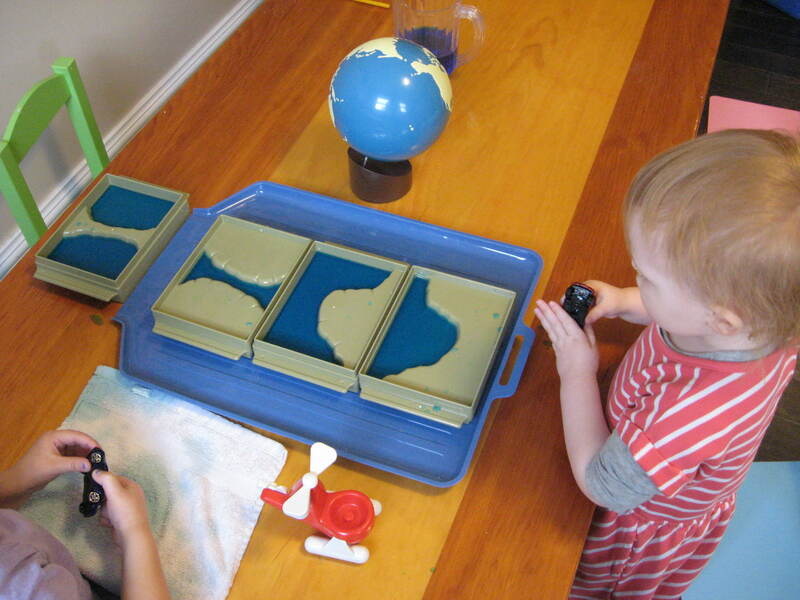 Land and Water Form Trays and Sandpaper Cards: The trays can be made with Plasticine in plastic trays. If you can afford it and want something more lasting then I’d purchase them. The kids really love them. The sandpaper cards are easy to make yourself. Trays, Jugs, and Practical Skills: These are best bought at places like the Dollar Store, Target or even at Thrift Stores. 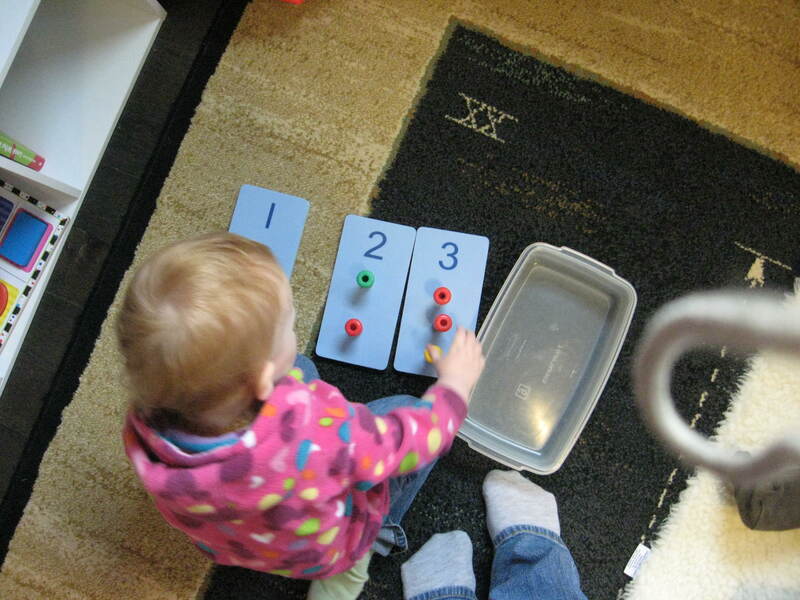 This entry was posted in Curriculum, DIY, Montessori Activities, Sensory, Toddlers and tagged Basic Montessori, Basic Montessori: Learning Activities for Under-Fives, Canada, David Gettman, education, IFIT, Learning, Maria Montessori, Montessori, Montessori at Home, Montessori education, Montessori Equipment Canada, Montessori for Preschoolers, Montessori Homeschool, Montessori materials Canada, montessori outlet, preschool activities, Preschool education, Purchasing Montessori Supplies, setting up a Montessori room, What do I need for Montessoi, What Montessori materials do I need, what Montessori materials should I buy, what toys to buy by chandni3. Bookmark the permalink. This is really helpful! It can get overwhelming with the variety of Montessori materials available, plus being in Canada makes it a little trickier (and more expensive!) to source materials.